YAY for longer days starting tomorrow! 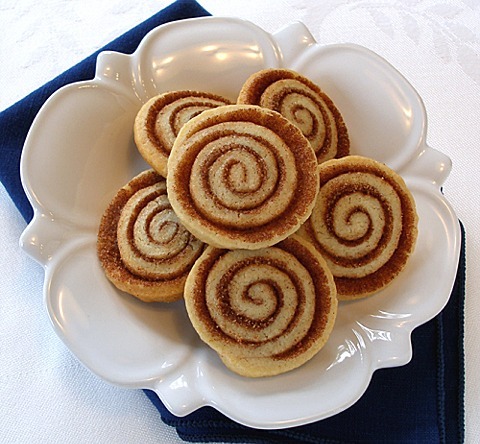 and I will take one of those cinnamon rolls with mah cawfee (philly sspelling) for breakfast. I have never seen a winter, snow covered ladyarinth........how gorgeous is that? Then enjoy one of those cookies. What a beautiful post. :o) I loved seeing all the labyrinths. 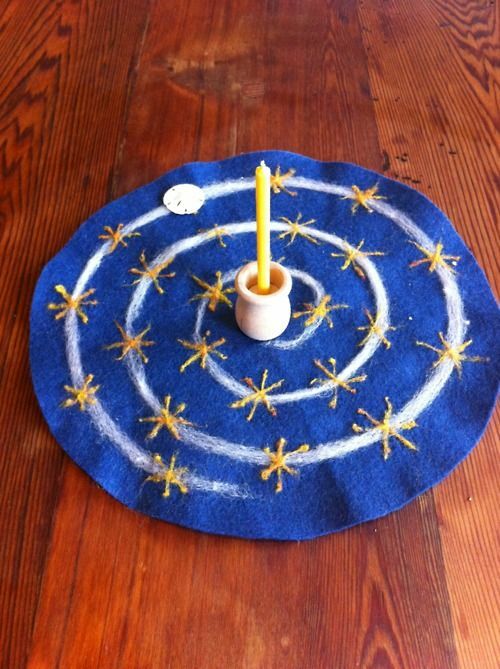 And I have so got to make myself a candlemat like that one. Very cool! Such a beautiful post! I'm so happy that we will begin to enjoy more daylight now! A lovely collection of photos for the day. This day celebrates longer days, for me. Even if they are more grey. merry solstice! my favorite day of the year. i just hate that the days will get lighter. i should live in a cave! Every day beyond today, I can work a few more minutes in the daylight. Until the pendulum starts to swing back, that is. Blessed Solstice to you my friend. I'm busy today making more cookies and loaf cakes for neighbor cookie platters. Oy! It's been argued that it's why we basically have a Christmas holiday. December would be pretty gloomy without it. Your post is lovely. I found this chant online, but for the life of me, I can't remember the authors name. Solstice blessings to you, Debra, and to your Rare One and all your families. Celebrating the Return of the Light! 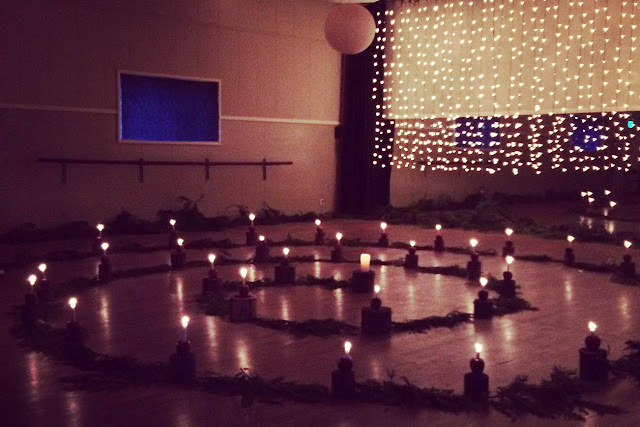 Winter Solstice, my favorite holiday! Yule log, and pine cones in the fireplace, waiting for family notes of wishes for the new year. Can't wait to light it and sit out the long night bundled with hubby and pets. May your Winter Solstice be joyous and full of yum! 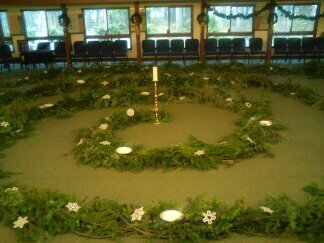 Blessings of the Solstice to you and the Rare One! Let the longer days begin! is it an omen that my editor just told me right on the solstice that imma gonna do a major series with Mortal in the title and another one with Midnight in the title and another with Dark in the title for the readers in Serbia? :) What dark things should we do tonight? A joyous Winter Solstice to you and yours - I love the fact that we are now on the return journey to warmer, lighter days. Happy Solstice to you too Debra. Aha! This explains why I woke up so early this morning. A merry soltice to you! 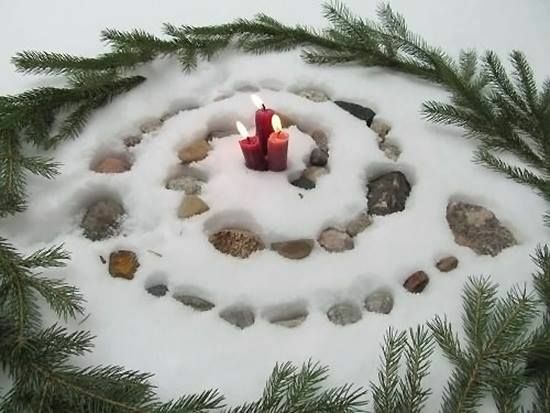 And Winter Solstice blessings to you. But HEY .... GOOD CHEER AND BEST WISHES. Yes, light, please return and touch ALL our hearts. I just saw "bit" on the news about Winter Solstice and Big Sur..Pretty pictures..Love your images..Blessings to you as well.. When I was in Greece, Debra, I bought one nice gift for myself: a gold and silver necklace - each link, a spiral. I was told (as you know, I'm sure) it means long life. I love it, and may "long" refer to quality versus time. May the new season be a long, bright one for you. beautiful! a very happy winter solstice to you and yours! Have a nice weekend, Debra. Truly beautiful post Debra! I hope you and your Rare One had a very blessed Winter Solstice! Big Hugs! Winter solstice is like reaching the top of a very steep hill. At least its all downhill now till summer.